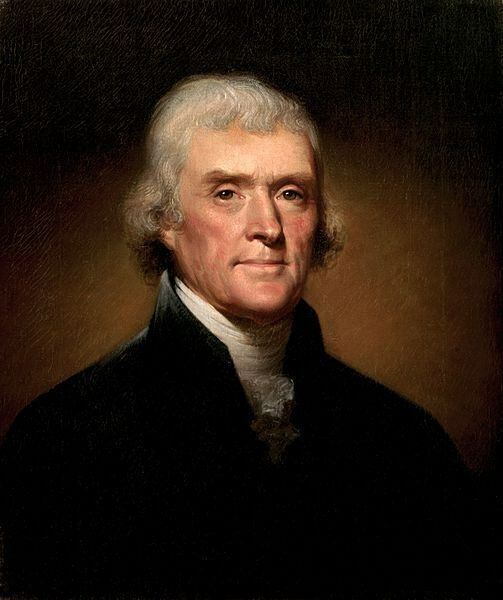 On this day in history, April 13, 1743, Thomas Jefferson is born. He would write the Declaration of Independence, be America's Ambassador to France, be the first Secretary of State and the 3rd President of the United States. Jefferson first became involved in politics when he was elected to Virginia's House of Burgesses in 1769. As tensions increased with Great Britain, he wrote A Summary View of the Rights of British America, which detailed the grievances against England and the rights of the colonists, in 1774. Jefferson was sent to the Continental Congress from Virginia in 1775. When the time came to declare independence from Great Britain, the other members of Congress, who were impressed with A Summary View, asked Jefferson to write the first draft of the Declaration of Independence. Congress reworded portions of it, but the language is largely Jefferson's. 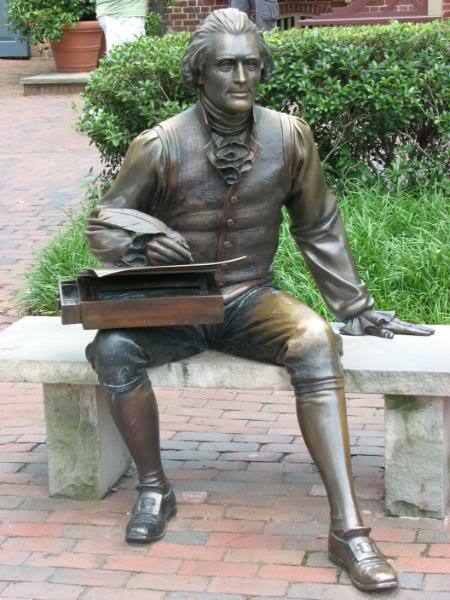 Learn more about Thomas Jefferson at our Thomas Jefferson Facts page here. Learn about how Jefferson wrote the Declaration of Independence here.